Dr. Parvinjahs practice offers a comprehensive array of treatment options, including general, cosmetic, and restorative dental procedures to help patients maintain both the health and appearance of their teeth and gums. His office is designed with your comfort in mind, and numerous amenities are available, including sedation dentistry techniques to help you relax during your visit. 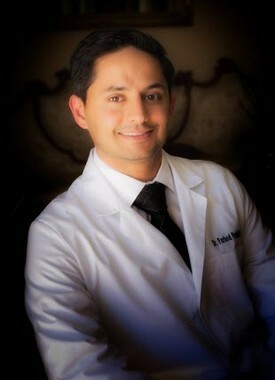 Dr. Parvinjah was raised in Southern California where he attended local schools in Santa Barbara and later Burbank High school. He attended the University of California, Los Angeles and completed his undergraduate studies with a Bachelor Of Science degree in Physiology. Dr. Parvinjah earned his Doctorate of Dental Medicine (D.M.D) degree at the prestigious Tufts University School of Dental Medicine in Boston, MA in 2007. He has completed various continuing dental education courses, including training in implants, cosmetic dentistry, and Invisalign, and always keeping up to date with the latest and best treatment modalities for his patients. Dr. Parvinjah is a member of the American Dental Association, the California Dental Association as well as the Santa Barbara-Ventura County Dental Society, and the American Academy of Cosmetic Dentistry. In his spare time, he enjoys reading, playing sports, following college athletics, and traveling. Dr. Parvinjahs commitment to providing personalized treatment in order to create the best possible outcome is the platform for which he and his team have practiced dentistry over the past 10 years. At Meridian Dental we treat our patients as we would want a member of our family to be treated. We look forward to getting to know you, and we anticipate a successful and friendly relationship.